Is that why church growth is always the go-to answer for every challenge? Because we can’t afford it not to be? Has church growth become a solution looking for a problem? To address this question, let’s look back to the early church. Everyone wants to be like the first century church, but from what I can tell, it wasn’t much different from today’s church. They had large and small churches. Healthy, sick and dead churches. Churches with strong leaders, weak leaders and sinful leaders. They worshiped God imperfectly and fought over theology. They also had a great deal of variety. The congregations in Jerusalem, Corinth, Laodicea and Ephesus had little in common outside of following scripture and practicing communion and water baptism. In short, the first century church was not the ideal template for Christian life, theology and worship that many people think it was. It must have been because of their strong teaching on church growth, right? The New Testament writers told argumentative churches to get along. They chided immoral churches to repent. They warned sinful churches of God’s impending punishment if they didn’t stop sinning. The apostles addressed an extraordinarily broad range of church issues. But there’s one thing they never did. No New Testament writer ever told a sick, dying, sinful or hurting church to get bigger. This is either a glaring oversight on their part, or they didn’t consider numerical congregational growth to be as important as we do. No early church leader ever told any church – sick or healthy – to structure for growth. Yes, Jesus told us to go and make disciples. And yes, that would mean church growth. But no apostle ever named growth as a strategy for fixing a broken church. And John, when he addressed the challenges, sins and blessings of the seven churches in Revelation, never told any of them to grow, either. How have we missed this gaping hole in the apostles’ teaching? And why do we spend so much time, money and energy on something the apostles could have addressed, but didn’t? Of course, the New Testament church was growing exponentially. Could that be why church growth teaching was absent? Because it was unnecessary? No. Not every church was growing. Many were barely hanging on, while staying faithful. But there’s not even a hint that the apostles saw their lack of numerical growth as evidence of a problem. Meanwhile, the churches in Corinth and Laodicea were famous for their complacency, sinfulness and lack of evangelical fervor. Yet they were experiencing enough growth to keep their offering plates full, at least. The apostles weren’t shy about confronting a church’s problems. If they never addressed lack of congregational growth, maybe it’s because they never considered it to be a valid measure of a local church’s health – or lack of health. 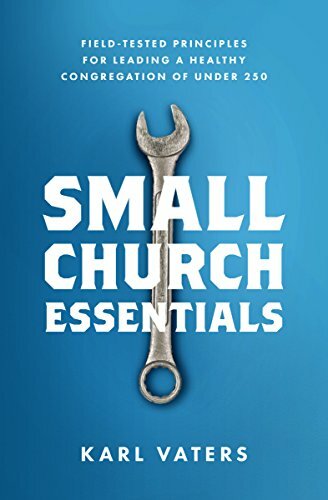 Small, suffering churches were given far more praise for their faithfulness than large, growing churches were given for the numerical increase. In fact, unless you’re looking at the New Testament through a modern, western church growth lens, it’s impossible to miss the fact that small, suffering churches were given far more praise for their faithfulness than large, growing churches were given for the numerical increase. I am not saying that churches shouldn’t grow, that church growth is bad, that we shouldn’t structure for growth, or that church health doesn’t produce growth. I’m merely raising a much-overlooked point about where we place our priorities. Today’s western evangelical church likes to talk about individual congregational numerical growth as evidence (usually the evidence) of church health. But there’s no indication that the New Testament writers ever thought that way. We need to do what the New Testament writers did. Stop insisting on numerical growth as the best evidence of a church’s health and start looking at faithfulness. If we did that, maybe the Lord would do through us what he did through the New Testament church - despite their faults, and ours. Use us to start turning the world upside-down again.